Notes: An Australian import with show dialog and related musical pieces. 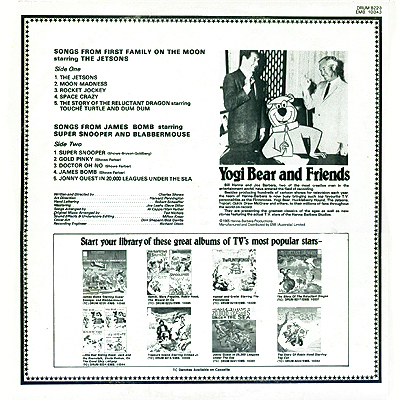 The musical portions are performed by the likes of James Bobm, Super Snooper and Blabbermouse. pretty much what you would expect from a kids record from the 60s. And what kid from the 60s doesn't remember the Jetsons? 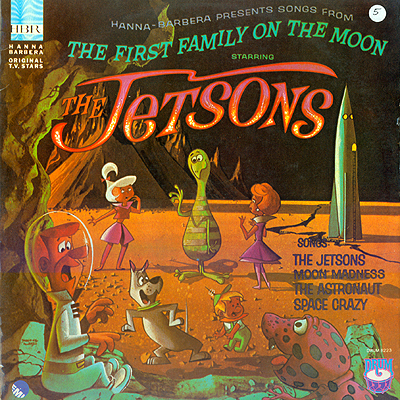 Great cover art of the family on the moon. But, why is George the only one wearing a helmet? Brought to you by the fine cartoon folks at Hanna-Barbera.